His renewed his support for the new Iraqi government, stressed the need to expedite concluding the ministerial cabinet, called for a greater role of the United Nations in Iraq and supporting Iraq within the United Nations. 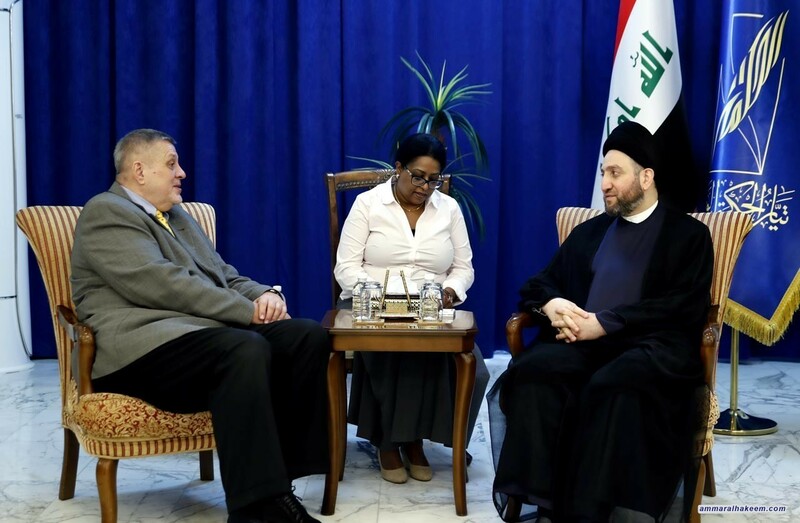 His eminence stressed the need to end the suffering of the Iraqi people by providing services, a decent life for Iraqis and the elimination of corruption. His eminence expressed surprise at unilateraldecisions of Washington against Tehran, considered a dangerous precedent that has unfortunate consequences on the humanitarian and international community, expressed solidarity with the Iranian people who are subjected to this unjust embargo. Mr. Kubis praised the position of the Al-Hikma National Movement by delegating the Prime Minister to select ministers and the movement continuous support to the government. And praised the Al-Arbaien pilgrimage for its great humanitarian means.